High quality clear ultra thin touch screen protector. protective faux suede case/cover/pouch. All pictures are actual images of the item being sold. I have described as best as I can. If you're not happy, neither am I! Trending at $172.50eBay determines this price through a machine learned model of the product's sale prices within the last 90 days. Forget thick plastic shells - skin it! Check out this ready-to-apply iPod nano full-color skin with an ultra-high resolution full-color design printed on premium grade adhesive-backed vinyl. The skin is then covered with a clear protectant layer for the ultimate in durability. IPod Universal Dock, Rubber Cover and Cord. This is a Blue 16GB Apple iPod™ Nano Fourth Generation in Excellent Condition. 1 - Blue 16GB Apple iPod™ Nano Fourth Generation Unit. Customized with Black Scroll Wheel / Blue Select Button ___________________________________________________________________________________________________________________. This is a Purple 8GB Apple iPod™ Nano Fourth Generation in Great Condition. 1 - Purple 8GB Apple iPod™ Nano Fourth Generation Unit. and most importantly I really take pride in everything I do. Pink iPod™ Nano 7th Gen 16GB & Accessories - iPod_Wizard - 4000 Sold! This is a Pink 16GB Apple iPod™ Nano Seventh Generation in Excellent Condition. 1 - Pink 16GB Apple iPod™ Nano Seventh Generation Unit. I am located in Atlanta Georgia. and most importantly I really take pride in everything I do. 4.5 out of 5 stars - Pink iPod™ Nano 7th Gen 16GB & Accessories - iPod_Wizard - 4000 Sold! 103 product ratings103 product ratings - Pink iPod™ Nano 7th Gen 16GB & Accessories - iPod_Wizard - 4000 Sold! Green iPod™ Nano 7th Gen 16GB & Accessories - iPod_Wizard - 4000 Sold! This is a Green 16GB Apple iPod™ Nano Seventh Generation in Excellent Condition. 1 - Green 16GB Apple iPod™ Nano Seventh Generation Unit. Tested to be functional on 3 separate occasions. I am located in Atlanta Georgia. 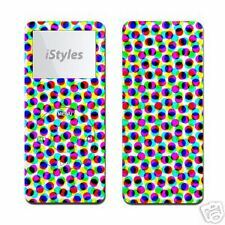 4.5 out of 5 stars - Green iPod™ Nano 7th Gen 16GB & Accessories - iPod_Wizard - 4000 Sold! 89 product ratings89 product ratings - Green iPod™ Nano 7th Gen 16GB & Accessories - iPod_Wizard - 4000 Sold! This is a Black 16GB Apple iPod™ Nano Fifth Generation in Excellent Condition. 1 - Black 16GB Apple iPod™ Nano Fifth Generation Unit. Functions Perfectly. New Battery. Customized with White Scroll Wheel / Black Select Button. This is a Pink 16GB Apple iPod™ Nano Fourth Generation in Excellent Condition. 1 - Pink 16GB Apple iPod™ Nano Fourth Generation Unit. Customized with Black Scroll Wheel / Pink Select Button ___________________________________________________________________________________________________________________. Although now specified, I am assuming this is for 1st generation ipod nano. This product has been described to the best of our knowledge and in the greatest detail and truthfulness. We have also taken detailed photographs of the actual product being sold. This is a Black 16GB Apple iPod™ Nano Fourth Generation in Excellent Condition. 1 - Black 16GB Apple iPod™ Nano Fourth Generation Unit. Functions Perfectly. New Battery. Customized with White Scroll Wheel / Black Select Button. This is a Black 8GB Apple iPod™ Nano Fourth Generation in Excellent Condition. 1 - Black 8GB Apple iPod™ Nano Fourth Generation Unit. Functions Perfectly. New Battery. Customized with White Scroll Wheel / Black Select Button. This is a Silver 8GB Apple iPod™ Nano Fourth Generation in Excellent Condition. 1 - Silver 8GB Apple iPod™ Nano Fourth Generation Unit. Customized with Silver Select Button / White Scroll Wheel. Functions Perfectly. This is a Silver 16GB Apple iPod ™ Nano Sixth Generation in Excellent Condition. 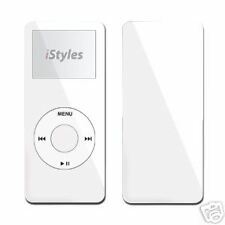 1 - Silver 16GB Apple iPod™ Nano Sixth Generation Unit. and most importantly I really take pride in everything I do. This is a Orange 8GB Apple iPod™ Nano Fourth Generation in Great Condition. 1 - Orange 8GB Apple iPod™ Nano Fourth Generation Unit. and most importantly I really take pride in everything I do. This is a Pink 8GB Apple iPod™ Nano Fourth Generation in Great Condition. 1 - Pink 8GB Apple iPod™ Nano Fourth Generation Unit. and most importantly I really take pride in everything I do.